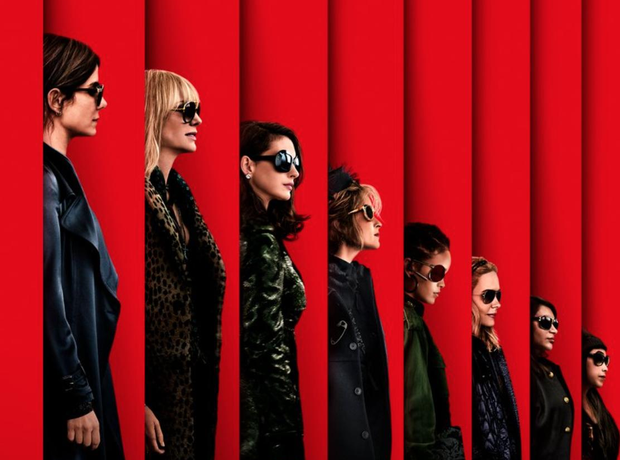 Rihanna starred in the official 'Oceans 8' movie poster. 4. Rihanna starred in the official 'Oceans 8' movie poster. The movie, which lands in cinemas in June 2018, features an all-female cast! Sandra Bullock, Cate Blanchett, Anne Hathaway, Helena Bonham Carter, Mindy Kaling, Sarah Paulson and rapper/comedian Awkwafina are all set to star.